In today’s online society, uptime is key to business success and that is why Leader Cabling Systems select only the highest quality vendor partners to work with, ensuring our clients are in safe hands. Whether it is your uninterrupted power supplies (UPS), infrastructure cabling or something as simple as a patch cord, the weakest link will affect the operation of your business unless you use top quality products. Below is a list of our high quality cabling partners that contribute to only supplying the best to our clients. 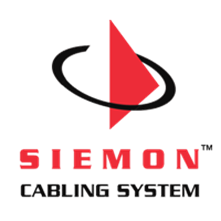 Headquartered in Connecticut, USA, with global offices, manufacturing and service partners throughout the world, Siemon offers the most comprehensive suite of copper (unshielded and shielded twisted-pair) category 5e, category 6 (Class E), category 6A(Class EA) and category 7/7A (Class F/FA), and multimode and singlemode fibre cabling systems available. Founded in 1976, CommScope has a history that reaches back decades earlier by virtue of its origin as a product line within Superior Cable Corporation and the transformational acquisition of ADC/Krone Corporation. 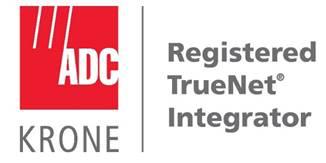 Over time, the company has evolved from its founding as a cable manufacturer to become a global, diversified provider of broadband, enterprise and wireless infrastructure solutions. Molex (a subsidiary of Koch Industries) is a globally recognized provider of electronic solutions in a wide range of industries, including data communications, consumer electronics, industrial, automotive, commercial vehicle and medical. Through their collaborative process, they take a multi-dimensional approach that brings together engineers, product designers and manufacturing to ensure the design cycle is smooth and seamless. 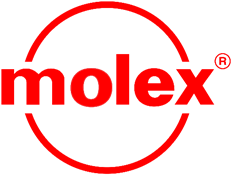 Molex have design and manufacturing facilities around the world, with an expert team of problem-solvers who work across borders to help bring your vision to life. With more than 75 years of experience, they lead the industry in R&D investment, striving to develop and deliver innovative, high-quality, reliable solutions that can be customized to meet your needs.